Trust ITC Hotels to be on top of the game. This hotel chain has always been at the forefront of hiring chefs, researchers and caterers that few others in the hotel industry would have considered, but who have gone on to become pillars in the group’s quest for excellence in Food and Beverage. One example is Chef Imtiaz Qureshi, who, at the time he joined ITC, was a cook in a rather modest establishment in Agra. Several decades and one Padma Shree later, ITC’s willingness to think out of the box has been vindicated. It is the same with Salma Husain, the Persian scholar who has helped the group to put together several brilliant festivals, all with Mughal-based themes that nobody else would have been able to conceptualize, without a background in reading old Persian tomes. But, on the flip side, few hospitality majors would have felt the need to employ someone just because they know a language! Or, take Begum Kulsum, reportedly of aristocratic Hyderabadi stock. She has created legendary banquets for the group’s most prestigious functions, but she is not only not a trained chef, her lineage means that she will, like it or not, always be a notch away from other ‘regular’ employees. It might have been a constraint for other chains who prefer a more cookie cutter approach to HR practices, but ITC has more nuanced thinking. 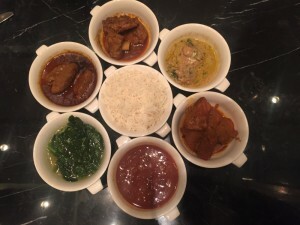 Which is why they have taken on Suman Kaul as a full-time chef for Kashmiri food whereas they could have taken a couple of short-cuts and hired a caterer from the community every time there was a request for a Kashmiri catering. 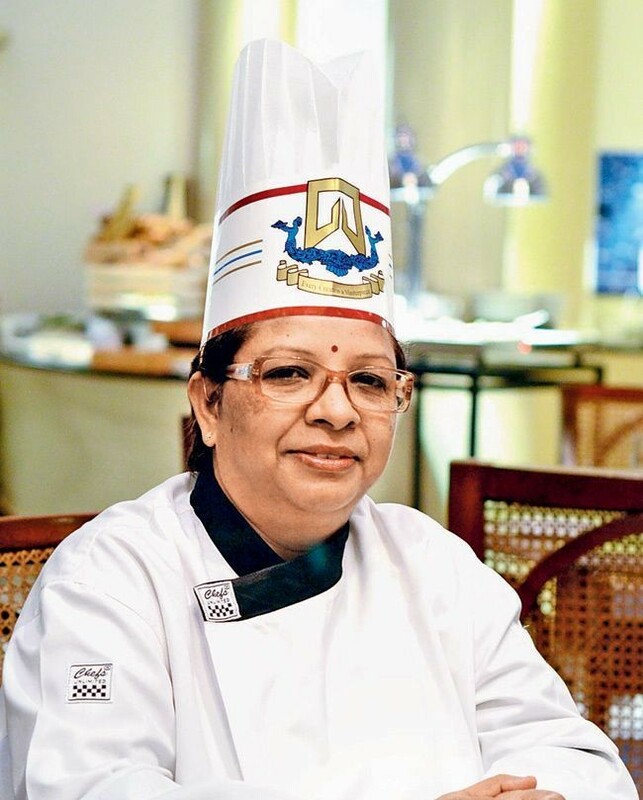 It is kudos to ITC Hotels that they have recognized Chef Kaul for what she is: a lady of comfortable years, with two married daughters living overseas and a retired husband. Chef Kaul is not a trained chef and she cooks no other food besides that of the Kashmiri Pandit community to which she belongs. After having left the Valley rather precipitately in 1990, she and her family settled down in Hyderabad, where she came to the attention of the ITC. She has moved into full-time employment at an age when most other people look forward to hanging up their boots, but the palpable enthusiasm among the dining public every time she holds a festival is enough reason to go on. Chef Kaul’s food is not overtly commercial, drowning in too much spicing, but it is not boring and bland like some home-cooked food can be. 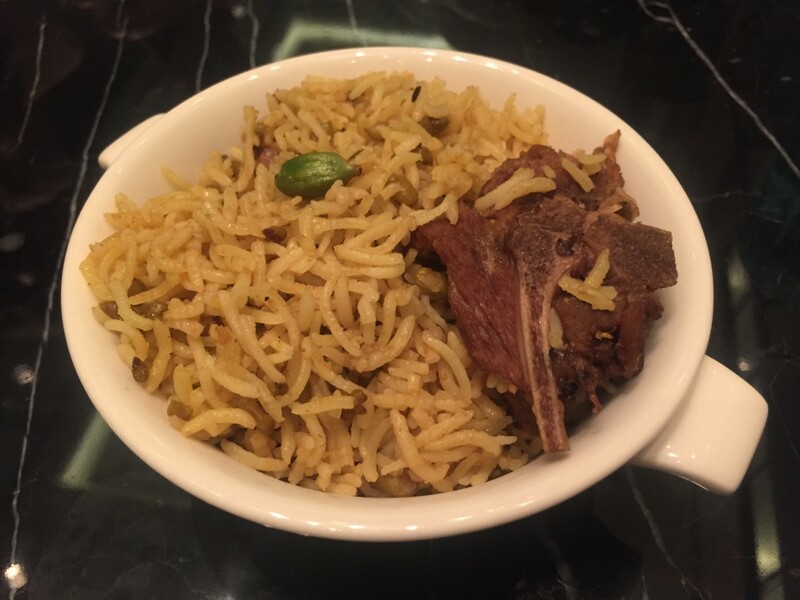 And some of her specialities are hers alone, like apple fritters and shufta, while others like roghan josh are so popular that not even the most foolhardy person would leave them out of a dinner menu. The Kauls – Mr. SJ Kaul and Mrs. Suman Kaul – agree that the biggest hurdle they face is to be compared to Kashmir’s other culinary tradition: wazwan. With more Kashmiri Pandits living outside Kashmir than inside it, this is yet another ITC initiative that will prove successful.